The screen redraw experience is smooth and clean, the system is very responsive. 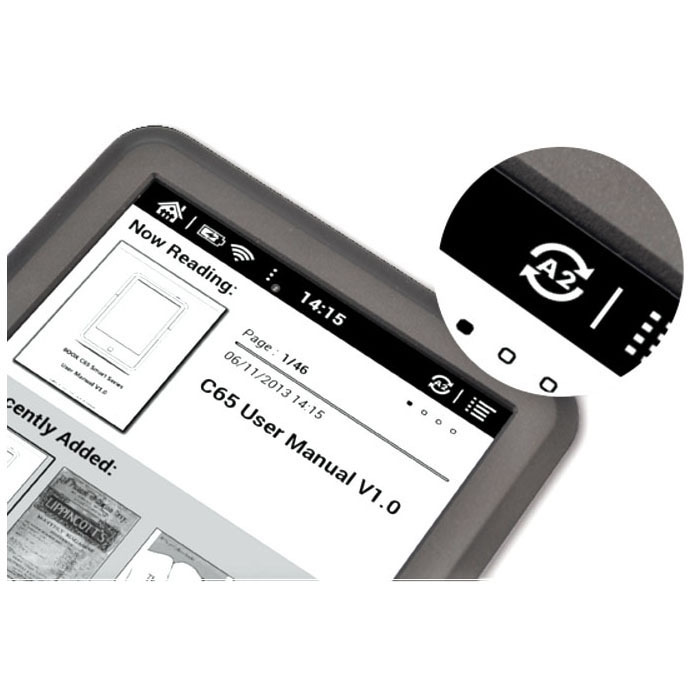 Thanks to the Android operating system you are not limited to one e-book reader application. There are various alternatives available for your taste. 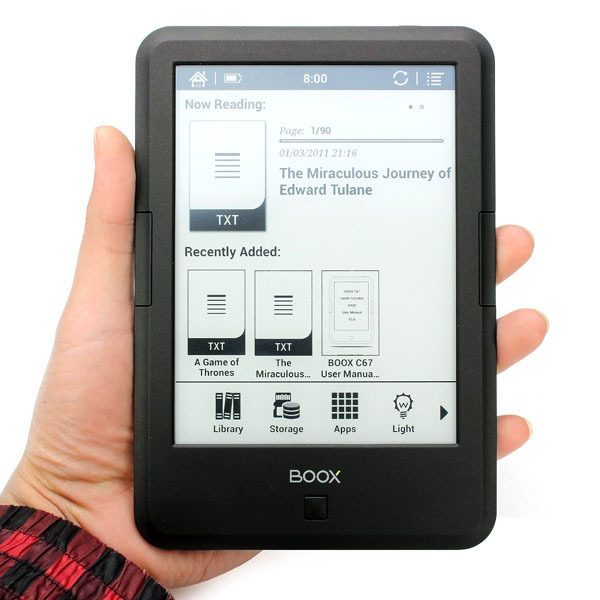 You can directly download and purchase books online, over a WiFi connection. 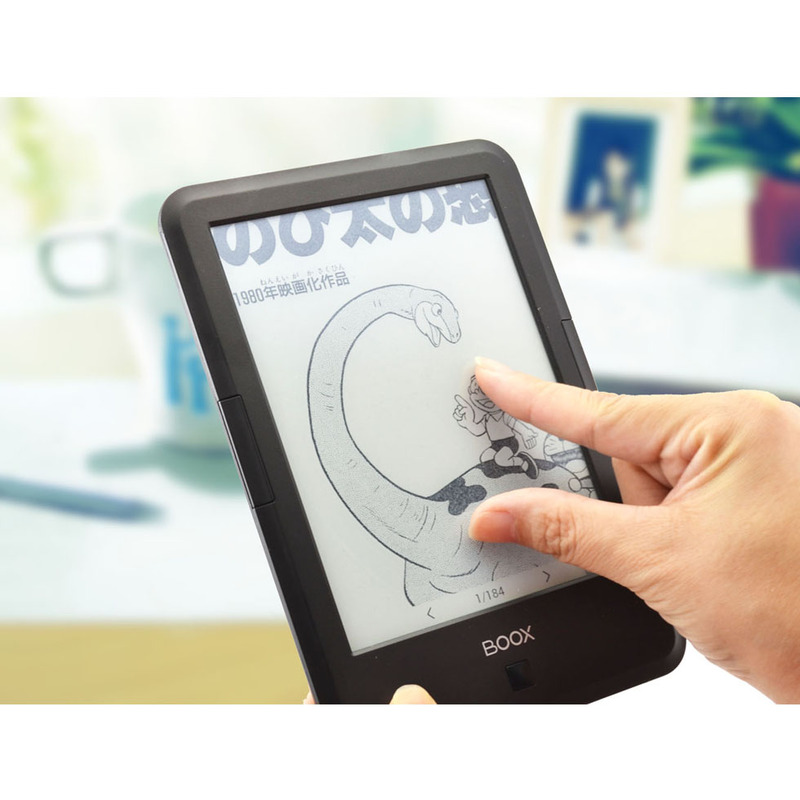 The BOOX C67ML Carta has E-ink display, so the letters are very easy to read, the illustrations are very detailed. The screen redraw got more dynamic, so the reading experience is very natural. 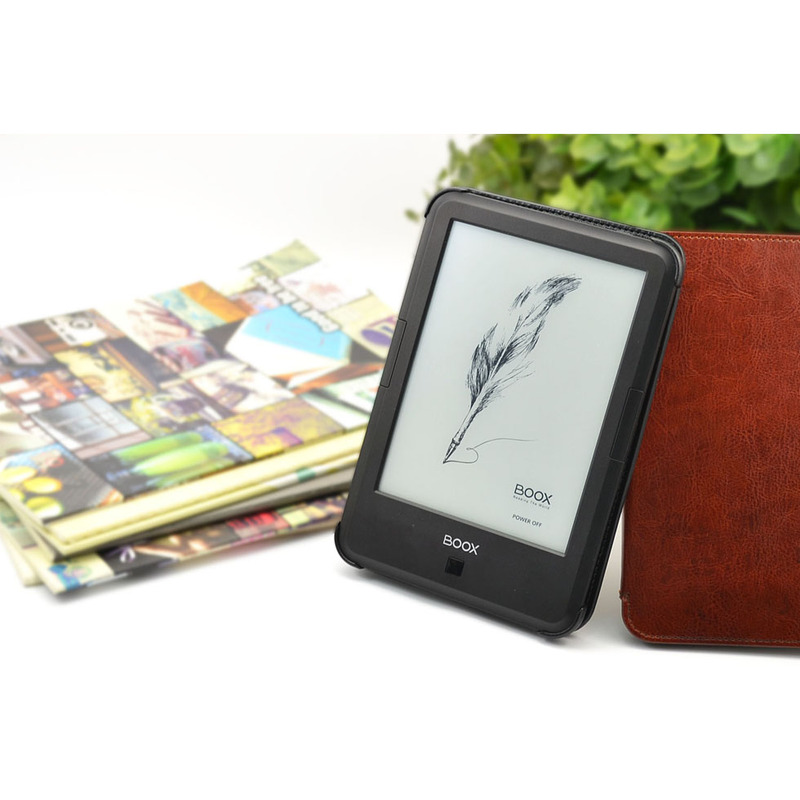 The BOOX C67ML Carta E-ink display has a backlit panel, which allows for a calm reading experience at night, the brigthness level is adjustable for your taste. The backlight doesn't disturbe your eyes, The light is distributed evenly on the whole surface of the screen. The brigthness level can be precisely adjusted on multiple levels to fit into the environmental lightning. It can be fully turned off if it's not needed. The new, A2 screen refresh mode provides 200% more screen refresh rate with significant energy savings. This procedure allows for faster page switching without any flashing or ghosting on the screen. 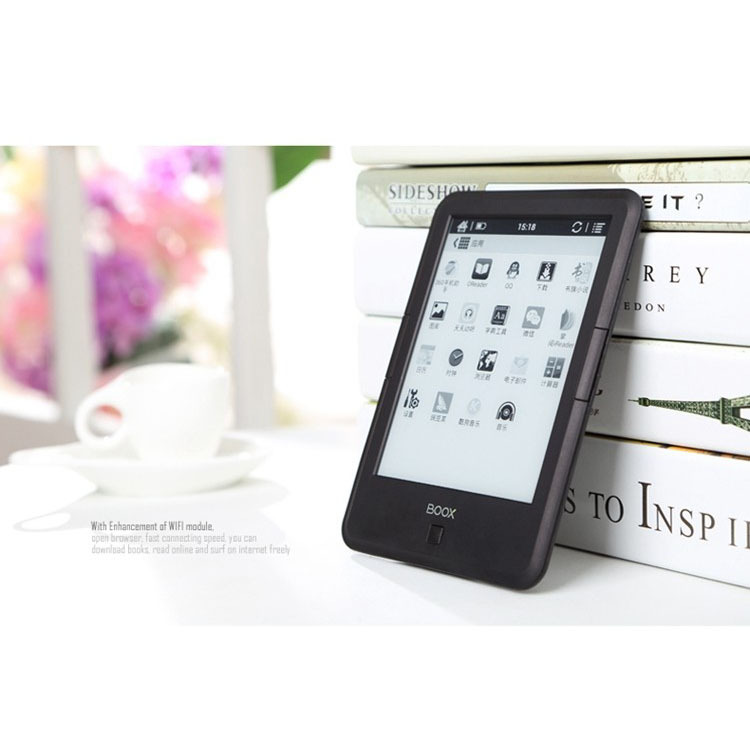 This allows a faster and a more comfortable reading experience. 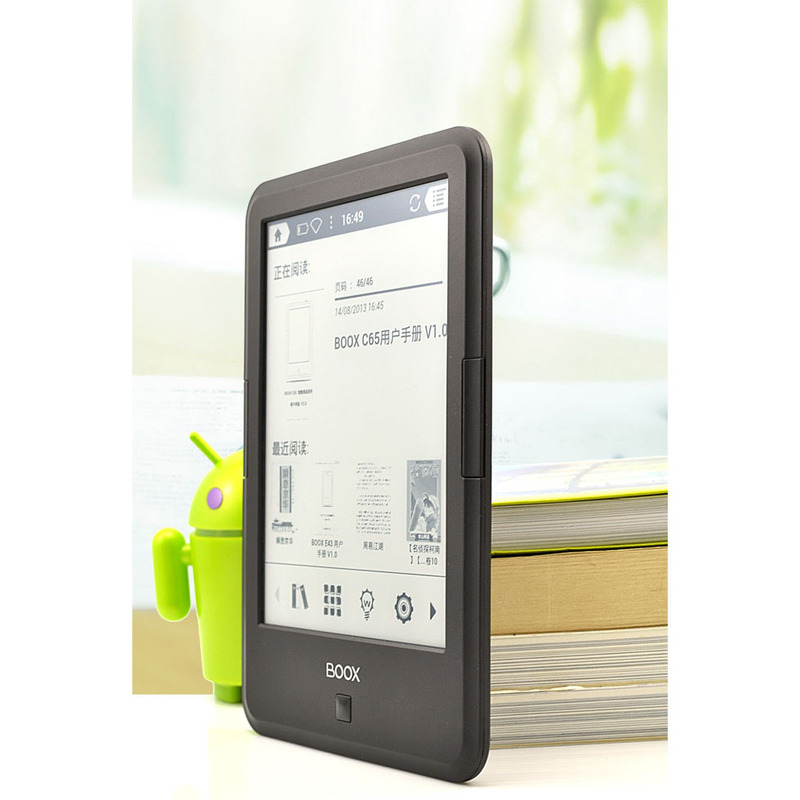 The Skoobe, Amazon Kindle and other applications are available so you can choose from millions of books. 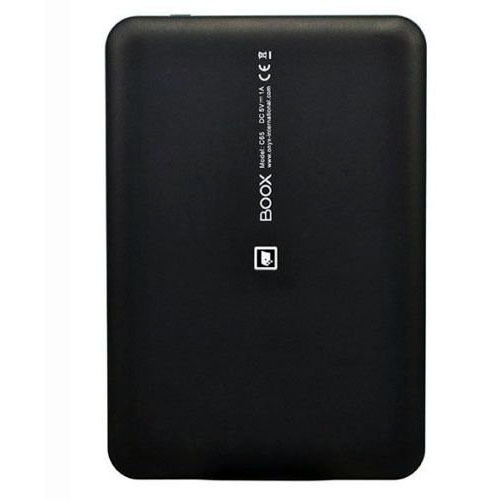 The BOOX C67ML Carta has a browser application which enables you to surf the web. The fullscreen capacitive touchscreen and the Android operating system makes it possible to use different touch gestures on the display. This means the forward / backward page switching can be achieved without pressing any buttons, only touching the display. Because the touch screen supports multi-touch functionality, the gestures can also be provided by multiple fingers, like zooming in/out with two fingers. 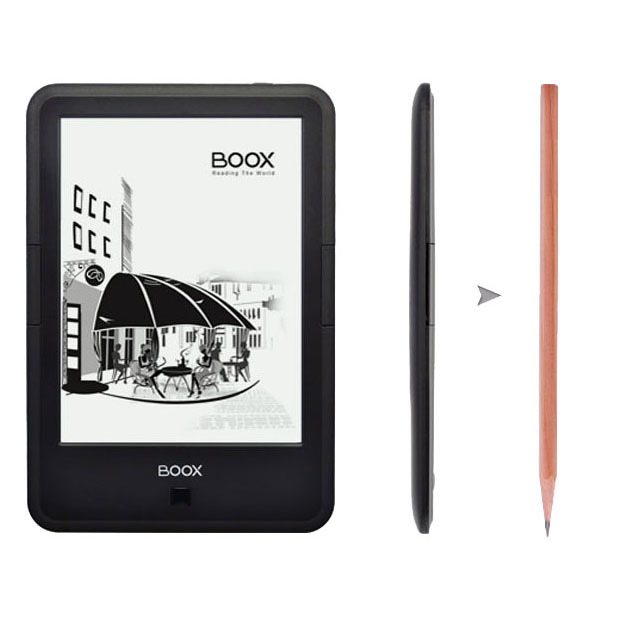 The BOOX C67ML Carta has only 8.7 mm thickness. It's weight is also convincing, 187 gramms. Slim and portable. 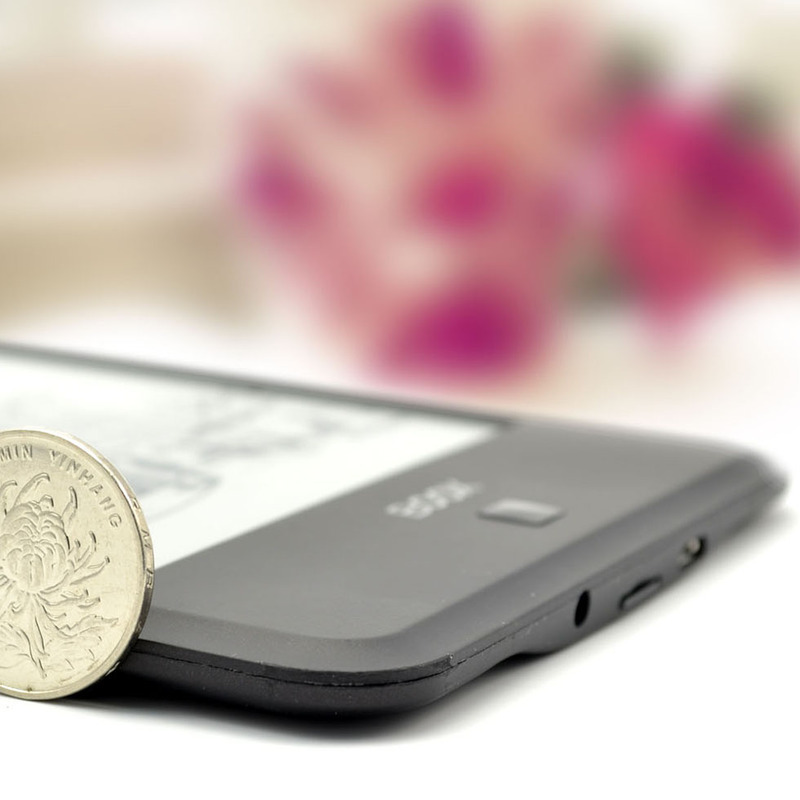 A whole "mobile library" fits into your pocket. 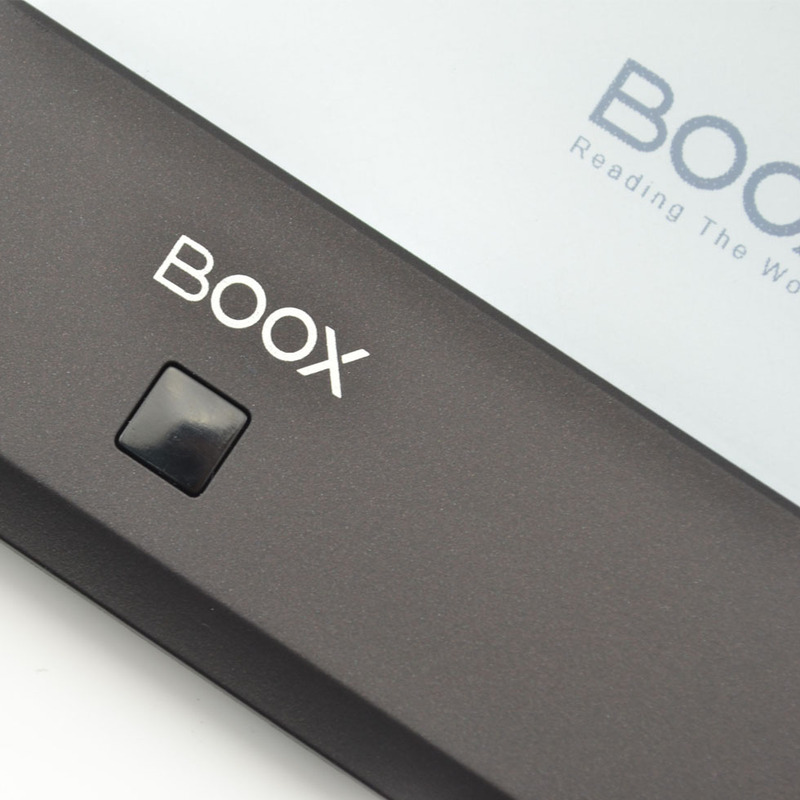 The BOOX C67ML Carta has dedicated buttons which can be used for page switching, volume level and display brightness adjustments. 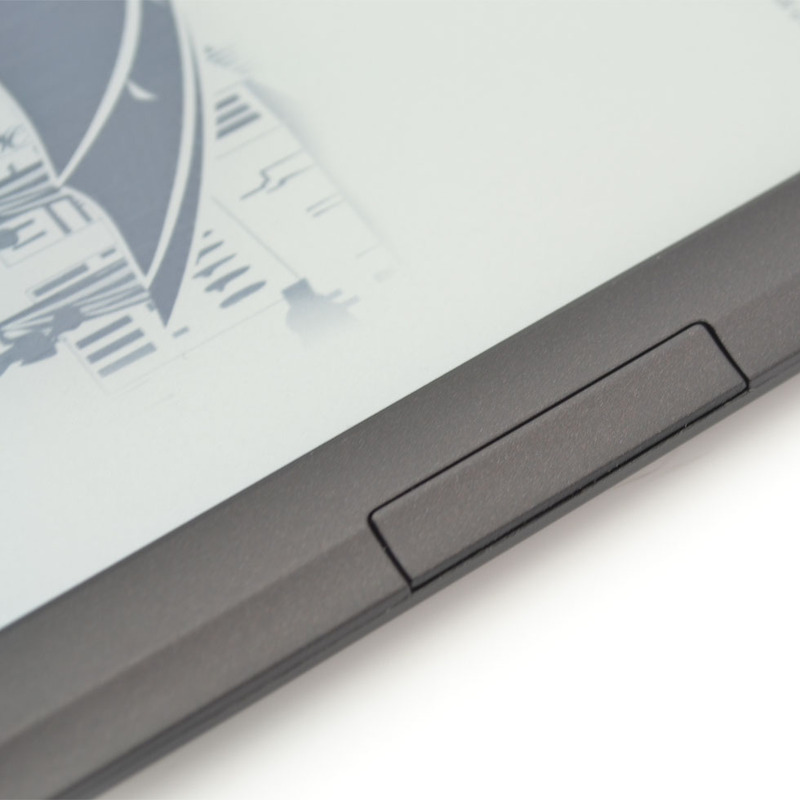 The buttons can also differentiate between short and long presses. 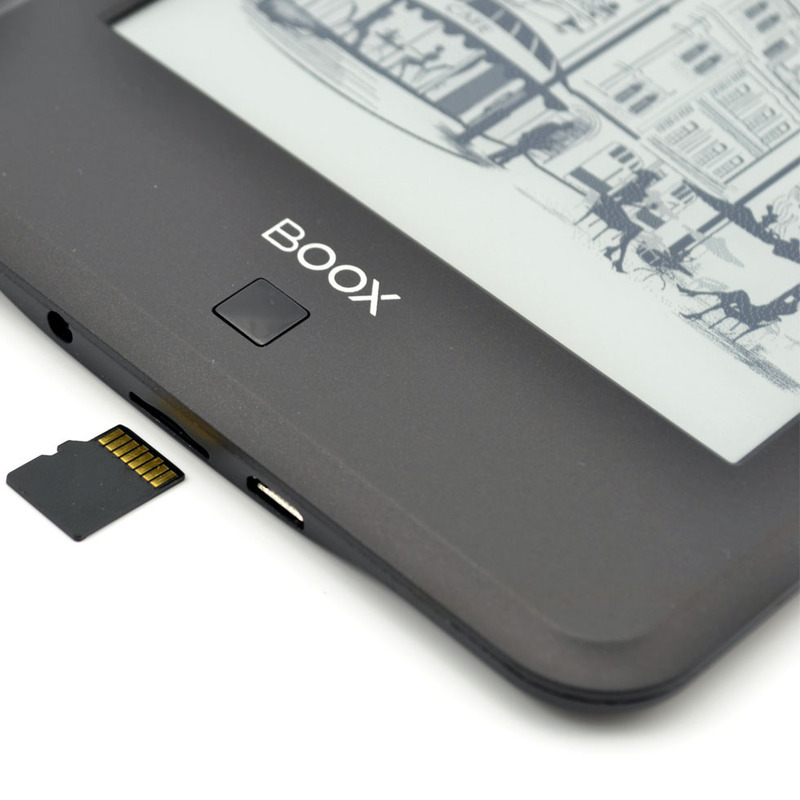 The BOOX C67ML Carta has microSD memory card support for storage extensibility besides it's 8GB built-in storage. The memory card can be inserted into it's dedicated slot on the bottom of the device. It supports 32 GB at maximum, which means thousands of book or hundreds of music. 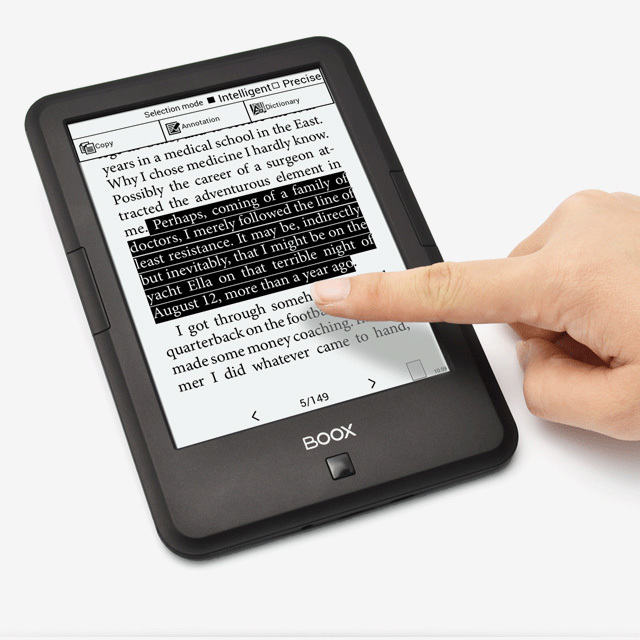 PDF / EPUB / TXT / MOBI / CHM / DJVU / HTML / RTF / FB2 / DOC / PDB. And also the MP3 and WMA music formats and the JPG / BMP / PNG image files. 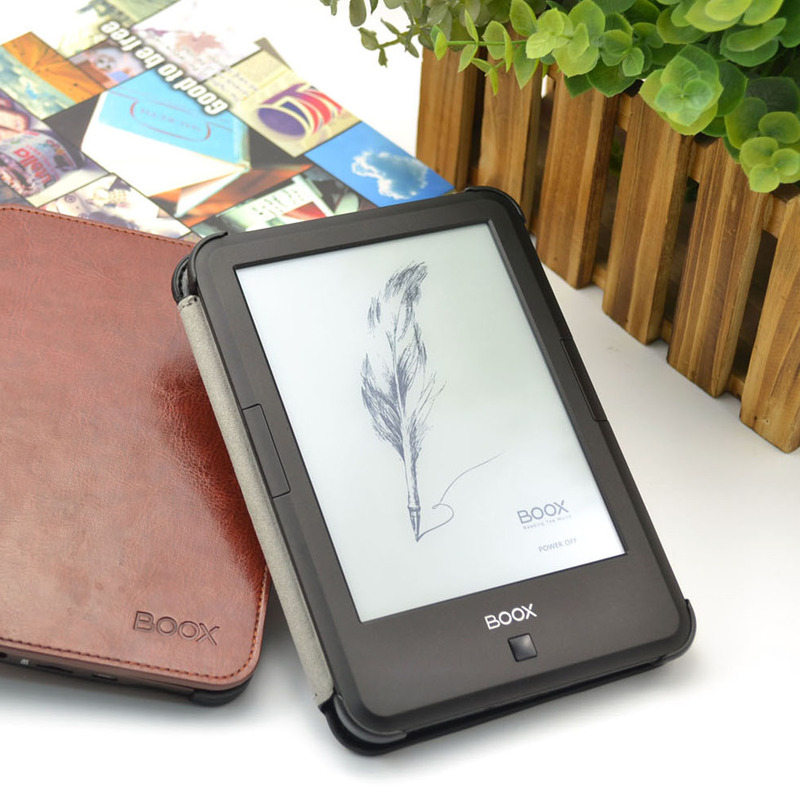 For the BOOX C67ML Carta you can purchase a separately available elegant leather case. It has a special magnetic cover which puts the device into sleep mode when it's closed,	and wakes it up when it's opened.